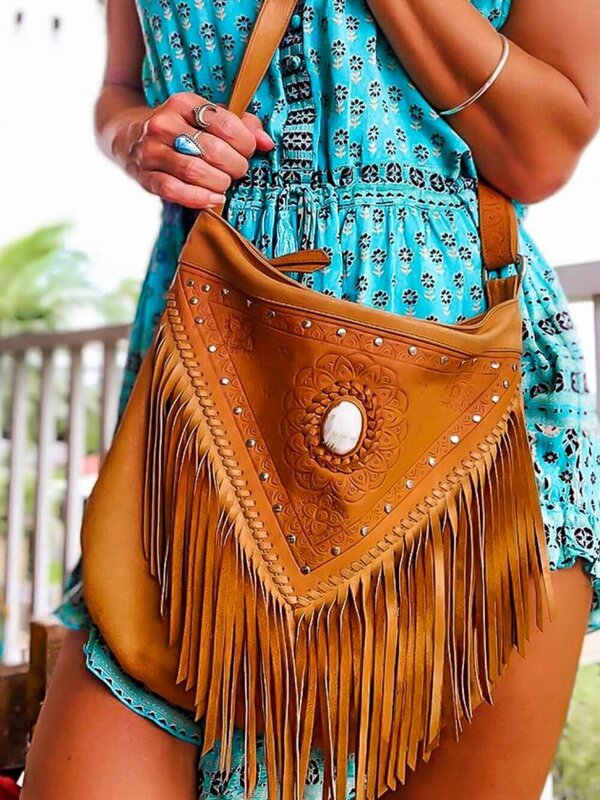 Find the best boho bags online you have to discover now! 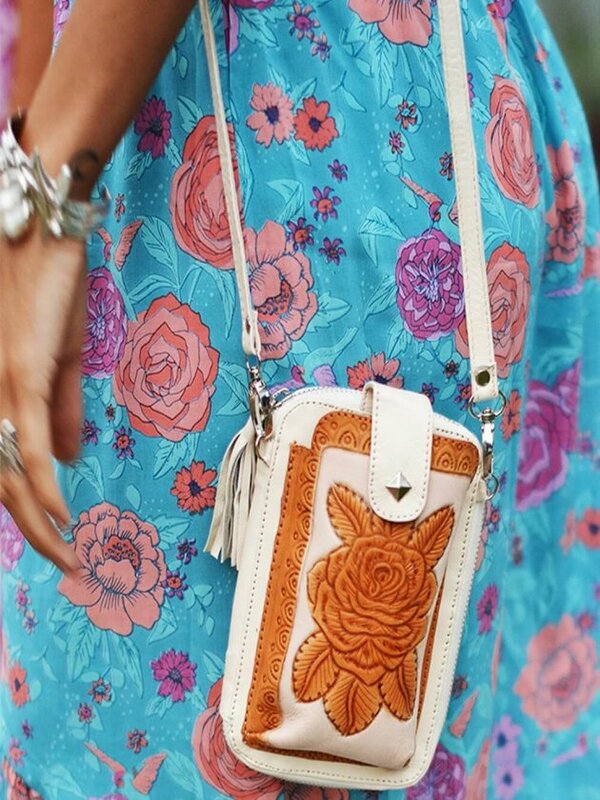 The Most Beautiful Boho Bags and where to find Them! Bags, bags, bags. A girl just can never have too many bags! 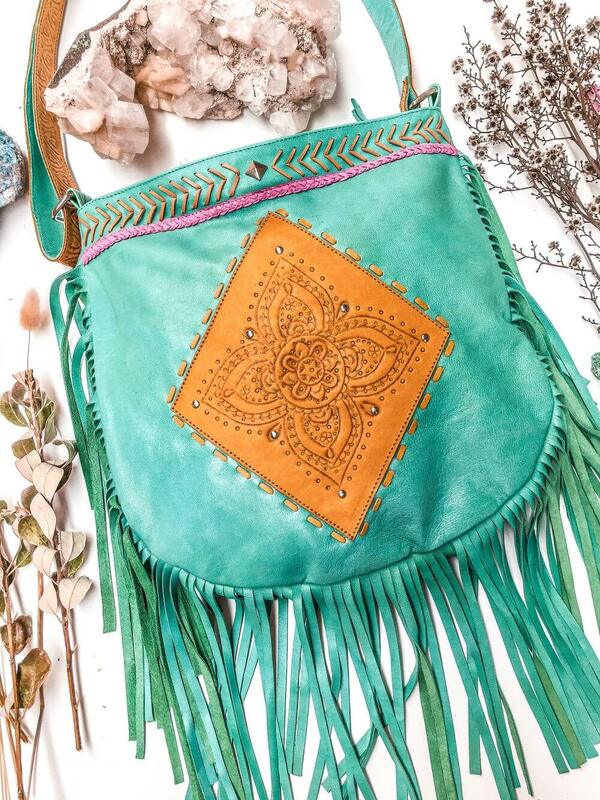 Beautiful fringe bags, vegan totes and boho purses and more. Accessorize your outfit with a statement bag that you could carry forever! But where to shop for the best boho bags online? Through my journey as Ibizabohogirl, I have had the pleasure of meeting up with the best brands worldwide which I just love to share with you! Washed leather bags, weekenders, tote or straw bags. No matter what you are looking for you'll definitely find your favorite with this online store. Have a look at the Coco Tassel Hobo bag or the Stray Bucket bag. So beautiful! 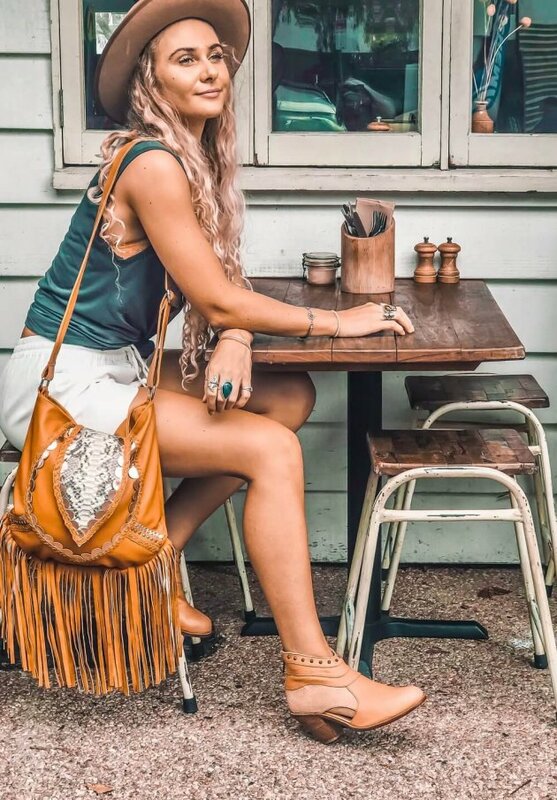 This fab Australian brand does not only bring the best in bohemian fashion,but has a mouthwatering bag collection to go with it. All Spell exclusives. My personal favorite: The Dreamweaver bag! Shop more bags here. Another one of my favorites from Australia! Mahiya Leather. Lots of fringes and the softest leather. 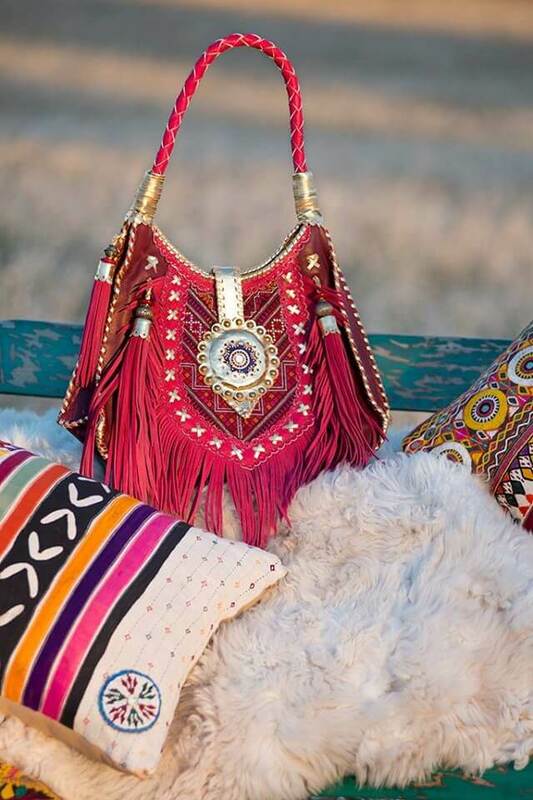 Each bag is infused with color, aztec prints and bohemian details. But most of all…designed with a lot of love! One of my absolute favourites is the Dream Weaver bag in Turquoise. Must have! On my last trip to Bali I had the pleasure of finally meeting the lovely couple behind Etnika Bali. 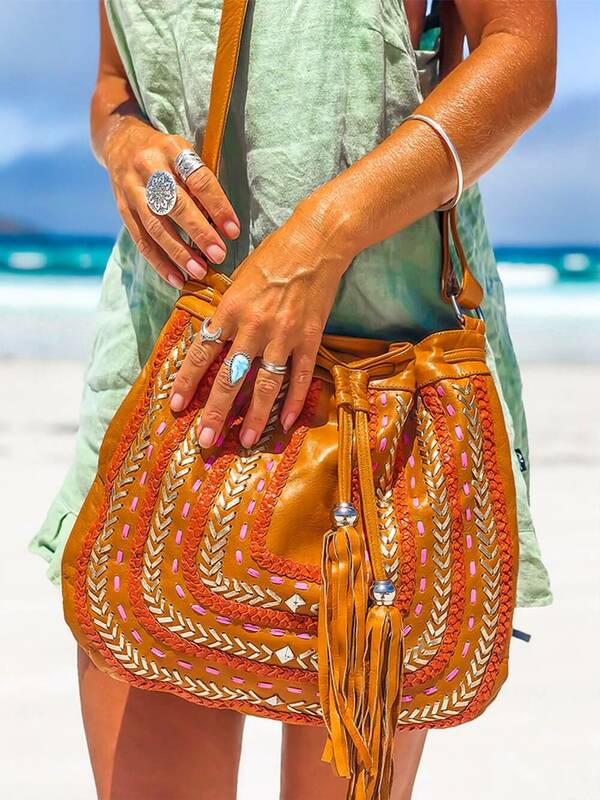 Combining her Spanish passion and his Balinese craftsmanship resulting in a fab boho bag collection. And a very affordable one not to forget! Bags with love from Bali. Let's stay on the lush island of Bali a bit longer and discover BaliELF. With their bohemian chic leather bag collection this brand can't be missing on this list. If you are looking for a more sophisticated bag this is the brand for you. All handmade with a great eye for detail. What is it with Bali that they always seem to make to most beautiful bags? Tulle & Batiste is no exception. This family owned brand makes the most beautiful vintage meets bohemian style clothes and bags. With their latest Vintage Rose bag collection, they have delivered another fabulous line of must-have bags for the hippie girl! The best in ethnic, colorful, India mixed with Morocco and a touch of Ibiza. A WorldfamilyIbiza bag is for those girls who like to stand out in the crowds! Vibrant colors and amazing designs. A World Family Ibiza bag does come with a price tag, but will be your best buddy for life! You can find their stores in Barcelona and on the island of Ibiza. If you love vintage as much as I do you came to the right place with Asos Marketplace. This online store has a huge collection of the seventies, old school, tanned leather saddle bags and much more. Don't you just love it when your bag has a history to tell? Asos Marketplace works with different boutiques from all over the world. Just check for your favorite one. Etsy Another one of my favourite places to look for new bags is Etsy. You will be surprised how many brands also sell their bags through Etsy. Check out Kavana Emporium or Aurobelle from Ibiza. They sell beautiful bohemian style bags for very affordable prices. And last but not least: Jodilee Designs. This beautiful designer from Australia makes the most amazing designs and prints. If you are following my Instagram you have probably seen me wearing a lot of her bags. Click for the entire collection of Jodilee here. 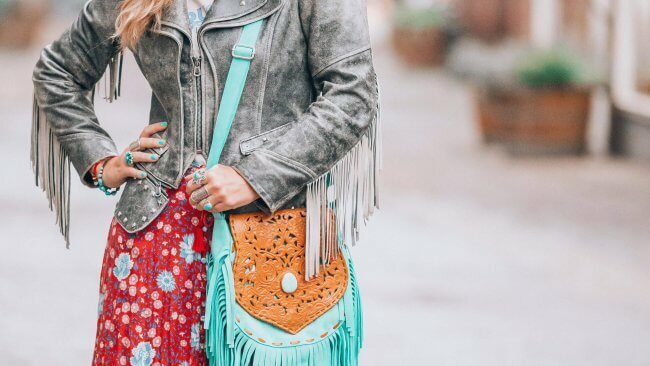 Hope you enjoyed my list of 10 favorite boho bag brands online! Let me know where you get your bags from and drop me a note! 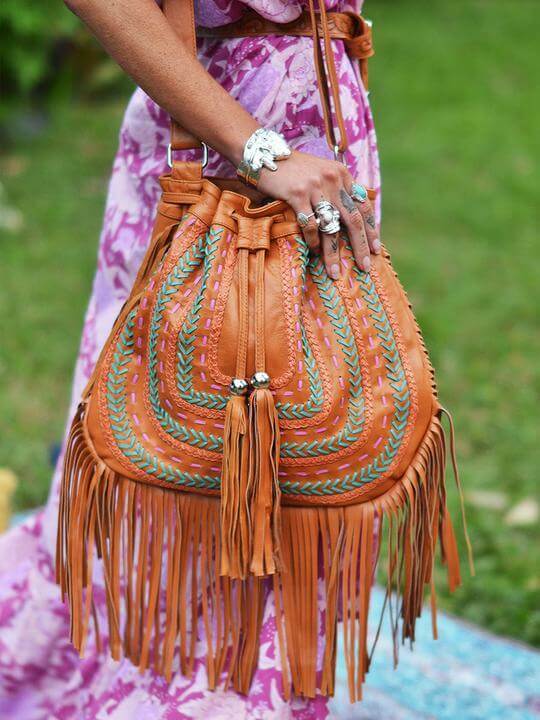 2 comments on The Most Beautiful Boho Bags and where to find Them! Wow, thanks so much for the feature, lovely! Very honoured to be on the list, and so glad to hear you love our hand tooled leather bags. Thank you! YVON!!! 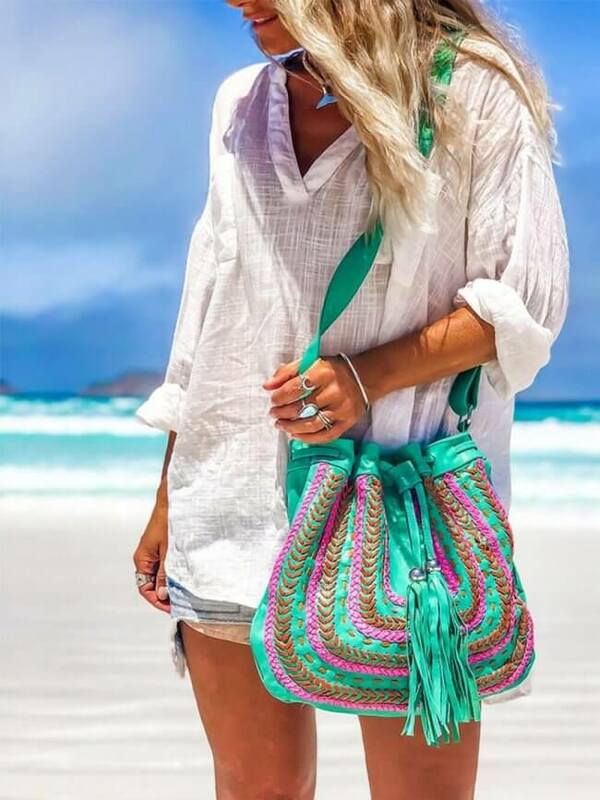 You definitely need to post and update of this article including our Colorful Boho Bags I know you love your Colorful4U Crochet Bags in boho style!! !